Deep Creek Middle School getting Grant! 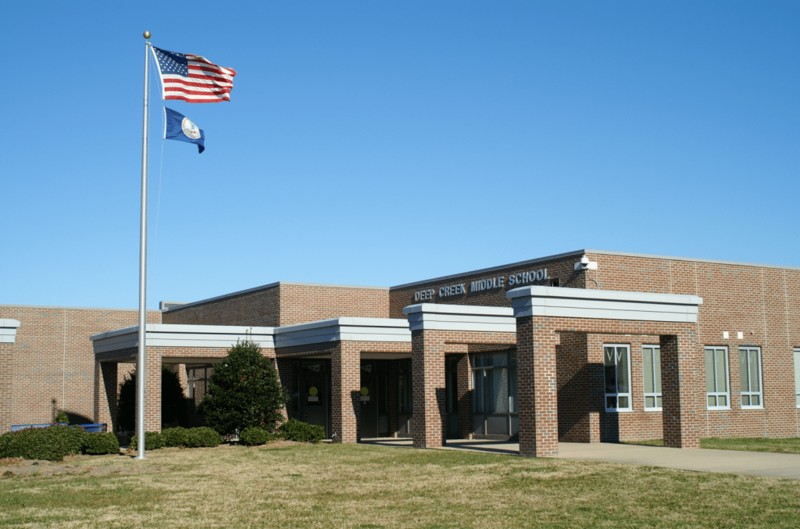 Deep Creek Middle School in Chesapeake has been awarded a $750 grant in the Recycling Category. The Keep Virginia Beautiful 30 Grants in 30 Days Program focuses greater resources and attention on organizations and individual localities throughout the Commonwealth and how they are addressing the issues of litter prevention, recycling, waste reduction, beautification and education. We provided the opportunity for government, non-profit and/or service organizations in Virginia to apply for one of thirty grants ranging from $500 to $1,000 in three different categories: Beautification, Litter Prevention, and Recycling. These grants are made possible by our partners – Capital One, Waste Management and Lowe’s. Currently, Deep Creek Middle School collects, recycles and reuses single use plastic bags. Students and faculty bring in plastic shopping bags, overwrap, newspaper bags, and bread bags. A major portion of the bags are recycled while some of the plastic bags are used to create sleeping mats for the homeless. Deep Creek MS will continue and expand this important project and also create an outdoor learning space that includes recycled products (Trex Benches for example). Their goals include the promotion of a sustainable program that will produce a measureable waste reduction and an increase in the reuse and recycling of plastic bags. They plan to continue to educate the students about the negative environmental impacts of single-use plastic bags and encourage them to recycle and reuse them. Deep Creek MS will continue their education program through the use of posters, announcements, and after school activities. They will continue to support and sponsor the creation of the crocheted mats for the homeless from recycled plastic bags. Finally, they will use products manufactured from recycled materials to create an outdoor learning space for their students. This outdoor learning space will allow students an opportunity to connect with nature and gain an appreciation for the need to protect it. This initiative will raise student enthusiasm to Keep Virginia Beautiful. The mission at Keep Virginia Beautiful is to engage and unite Virginians to improve our natural and scenic environment through 5 impact areas: Litter Prevention, Waste Reduction, Recycling, Beautification, and Environmental Education.